The horse racing market in Australia has countless racing analysts, commentators, tipsters and professionals all with a detailed and sometimes very different view of how races will play out, and who will win. Some of the ways in which races are described, and the terms that are used, can be confusing at times. Isn’t it simply a case of the fastest horse wins? For those of you that love reading a race guide, you know that it’s not as simple as that! Have your own opinion. The team at The Race Guide think coming up with your own opinion of a race is one of the best parts of a day at the track. Some time spent considering the horse, the conditions and the form will start to give you a picture of which horse will be first past the post. Boasting rights, and a collect, await anyone who can get it right! Either way, getting to know the terms below will help you on your way. A summary of some key betting terms. ‘Each-way’ – A popular bet, which involves splitting your investment across both Win and Place. For example, $20 ‘Each-way’ is a $40 bet that will give you $20 on both the Win and Place market. ‘Exotics’ – The TAB, and online bookmakers, will take bets on a variety of ‘Exotic’ bets, such as a Quinella (pick two horses to run first and second), Exacta (same as Quinella, but you have to pick the order), Trifecta (first three horses in order) and First Four (first four horses in order). ‘The Quaddie’ – A great invention by the TAB, the ‘Quaddie’ is usually a bet in which you have to pick the winner of the last four races of a raceday. You can take multiple runners in each race, and the winnings can be big. And who can you bet with..? The TAB – The well-known betting agency that operates across Australia. The TAB has retail outlets, and also operates online and at the track. There is a choice of betting in the ‘pool’ (odds change depending on the popularity of each horse), or using fixed odds (odds are set at a price when you put the bet on). Bookmakers – The bookmaking world has rapidly moved on-line in recent years, but the on track ‘bag men’ still offer a good service when you are at the races. The number of products the on-line providers can offer has exploded way beyond the bet types explained above. Great odds, and great deals, can be found by doing some research and finding the best price on your favourite runner. Some of the factors that are used when analysing a horse race. A brief explanation of how the horse has performed over its most recent runs. 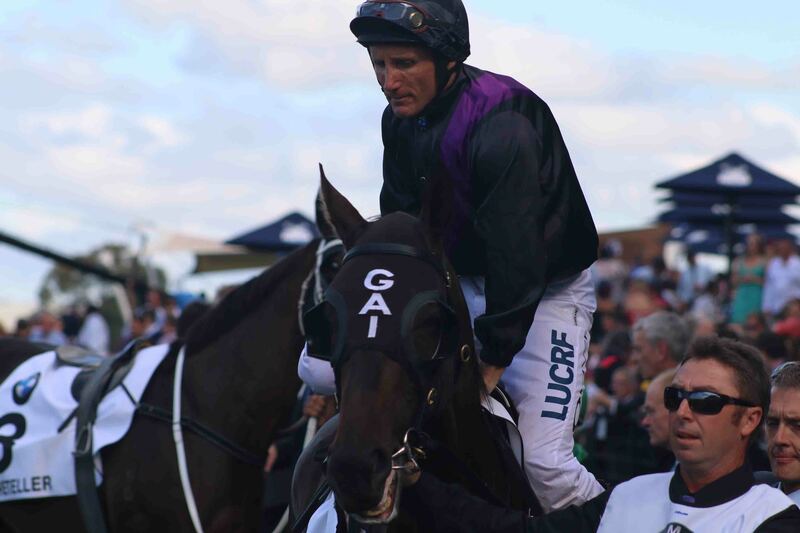 The Race Guide provides detailed information from Racing Information Services Australia (RISA) within the Form Guide page, as well as detailed video comments that provide the story for each run. An explanation of the conformation of the racehorse, including its size and strength. The Race Guide's notes on the type of each horse is provided on the Type Guide page. Look out for the characteristics and how they link to actual performance e.g. tall and leggy horses may struggle around tight turns. The pattern that a racehorse typically follows. For example, “gets back and accelerates”, or “leader that keeps trying”. Horses generally race well for about three to six runs per ‘Preparation’, which is simply a campaign of a few races strung together, usually two or three weeks apart. In between each preparation horses will ‘Spell’ to rest and rejuvenate. Different horses may perform better at different stages of their preparation (e.g. ‘Fresh’ or ‘First-up’ is when a horse has just returned from a spell). The person in charge of training the horse to perform at is best. Just like horses, trainers can go through periods of good ‘form’ when all their horses are performing well. The rider of the horse during a race. Certain jockeys will suit certain ‘Types’ of horses. 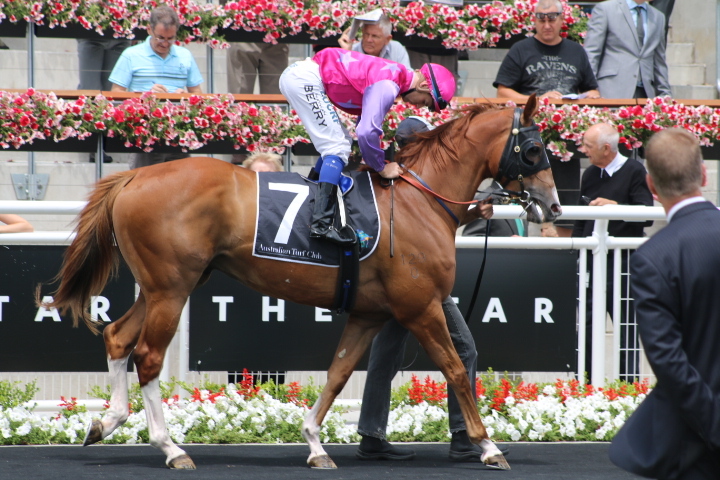 For example, Nash Rawiller is a strong jockey that can often get the best out of a tough on-pace galloper. The location of the race. Each track has a different shape, which can suit different ‘Types’ and ‘Styles’ of horses. The big open expanses of Flemington in Melbourne can provide the perfect location for horses that storm home from the back, while Canterbury in Sydney often advantages tough leaders that can hug the rails around the home turn. The length of each horse race. ‘Staying’ races refer to longer distances, such as 2000m and beyond, while ‘Sprint’ races are typically 1000m to 1200m. As a horse gets fitter during their preparation, the race distances generally increase. The elements that each horse has to deal with. The weight carried by the horse is made up of the jockeys weight, plus additional lead. While the barrier, which is the gate that the horse starts from, is randomly drawn for each race. The track will have a different ‘rating’ depending on how much rain there has been in the days leading up to the races. A Good track is normal and dry, while Dead, Slow or Heavy tracks indicate that some rain has fallen and the ground is softer. Look out for horses that prefer different conditions. For those that are keen to take race analysis to the next level, understanding the two factors below is a must. Horses typically race in a pack, similar to the way cyclists do in the Tour de France. This gives most of the field the ‘cover’ they need to conserve energy and finish the race strongly, while some horses are natural leaders and will run at the front. The speed at which the pack moves is often termed ‘Race Tempo’ and it can have a big impact on which horse wins the race. A slow tempo will usually advantage the leaders, who can sprint on the turn and pinch a break on the rest of the pack. But not always! Some leaders are the Type that prefer a strong, or ‘rolling’, tempo as they look to run their competitors into the ground. Keep an eye on The Race Guide comments to see when your horse is best suited to the next race. Probably one of the most influential elements of race analysis in recent years. Detailed analysis of racehorse performance lead to a clear discovery that some horses were not performing as expected, depending on their position in the racing ‘pack’. On some days you will notice that all the leaders are winning, while on others it is more of a ‘swoopers’ track. When either of these events are happening, Track Bias is rearing its head as a key reason why your horse may win, or struggle to do its best. Position Bias – Depending on the conditions, horses near the lead, or running on from the back may be advantaged. A great example is Rosehill when the rail is out and the track is dry – the leaders ‘skip along’ in front at a great speed making it difficult for the backmarkers to make any ground. ‘Fast lanes’ – Some tracks will have areas that seem to be faster than others. This can be noticed when horses start to perform better if they are closer to, or further away from, the rails. Getting a read on track bias early can be critical before putting your hard earned on. The Race Guide provides an up-to-date assessment of bias on each Track page for every Sydney and Melbourne Saturday meeting - just follow @TheRaceGuide on twitter.